Place all the ingredients in a container with a tight fitting lid ( I use a small mason jar) and shake well before dressing the salad. I like this one with a Chinese Chicken Salad (Iceberg lettuce, shredded chicken, shredded carrots, red peppers, celery, green onions, red cabbage, and a little fresh mint and fresh cilantro). Combine all ingredients but salt and pepper in a small jar with a tight fitting lid. Shake well. Season with salt and pepper. Combine all ingredients in a small jar with a tight fitting lid. Shake well. In a blender, combine all ingredients and puree until smooth. * EVOO is Extra Virgin Olive Oil. I love the robust flavor. If you want something milder, choose light or extra light olive oil instead. 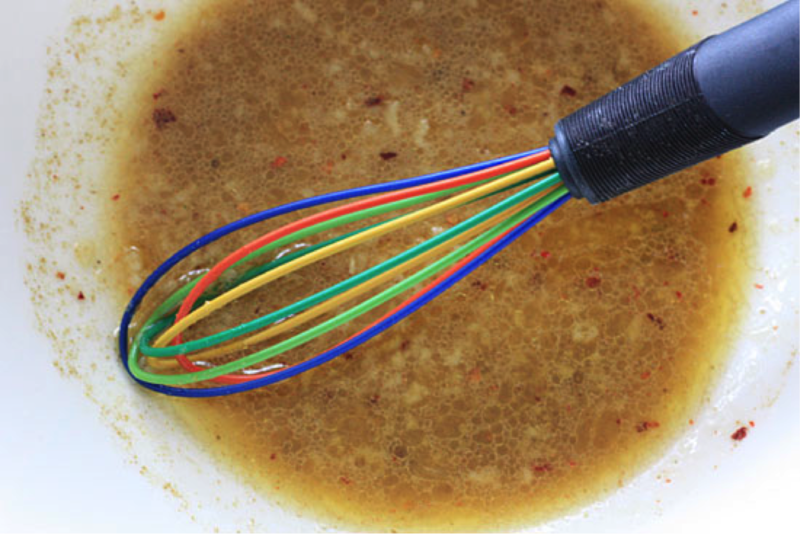 Whisk together the garlic, mustard, vinegar, lemon juice, honey, hot sauce, salt, and pepper in a large bowl. Slowly whisk in the olive oil until the dressing is emulsified.